Just like a Thanksgiving dinner does not count if there is no turkey, a Russian New Year's party is not complete without caviar on the table. Even if it is a morgue party, police discovered. More than 175 kilograms of red and black caviar were stored in a morgue of a St. Petersburg hospital, local police said on their web site Wednesday. 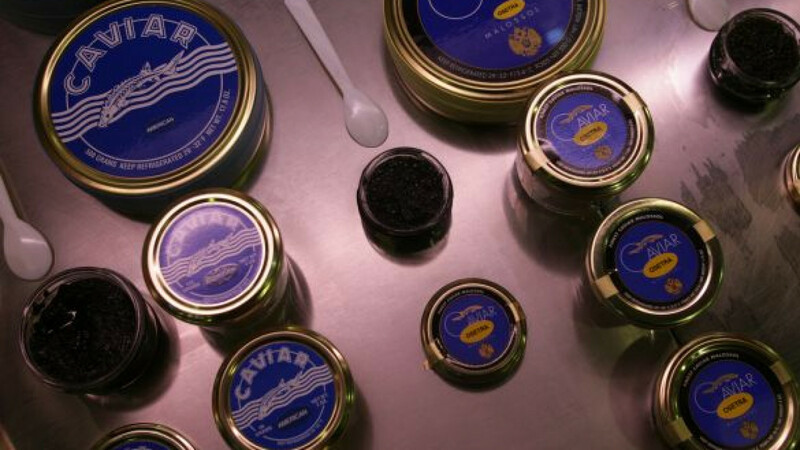 The caviar, which comes from endangered species, belonged to a 64-year-old entrepreneur who ran a funeral service in the building and a 42-year-old morgue attendant, the report said, without releasing their names. The duo "stored and packed red and black caviar next to the corpses inside the morgue's pathology department," police said. About 135 kilograms of red caviar were packed in five containers labeled "Aviation Security. Checked." Identical containers were found in a body storage room, with a paramedic saying they held "biological waste." A police video leaked by the Lifenews.ru online tabloid showed a refrigerator stuffed with caviar next to a body in a coffin. A spoken commentary described the premises as a "farewell hall" where mourners pay tribute to the dead. The two men said the caviar was "meant for their private use to celebrate the new year and a party for the hospital personnel," police said. No one was charged with wrongdoing as of Wednesday because owing caviar is not a violation per se. But police have begun a check into where the caviar came from and whether its storage broke sanitary laws. Most black caviar in Russia comes from the black market. Only 19 tons of the 244 tons sold last year were sold legally, Vedomosti reported in April. It remained unclear whether morgue officials would face any penalties. Police said in their report that a hospital administrator failed to explain how the delicacy came to be stored next to the corpses and fled the building.